Marco, a 100% employee owned company, has been the leader in providing the Upper Midwest voice communications, data networking, and printer services since 1985. Marco can plan, design, and install all components necessary for your voice, data, and printing networks. With 33 locations spanning five states, their corporate headquarters was in need of a change. Marco bought land and planned construction of a new warehouse and corporate office off I94 in St. Cloud, MN. This facility was going to allow their two current warehouses in downtown St. Cloud to be consolidated into one. 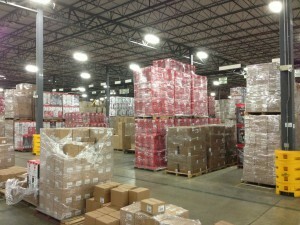 Marco contacted SJF to assist with the planning and installation of their new warehouse. TTI Floor Care shipping area prior to SJF involvement. TTI Floor Care is the national leader in innovation, quality, and customer satisfaction in floor care products. Their distribution centers in the Cleveland, Ohio area are home to three of the most powerful brands in floor care products, including Hoover, Dirt Devil, and Orek. In early 2013, Chris Hills of CLH Logistics in Ohio contacted SJF to assist with the reconfiguration of one distribution center in the Cleveland area. Housing both the Hoover and Dirt Devil brands, along with the replacement parts for both, more room and organization was needed. 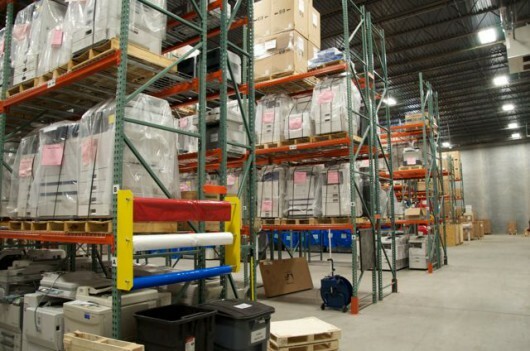 Their current set up consisted of shelving and floor stack pallets for the LTL and full load shipping areas. The remainder of the spare parts were stacked on the floor, sometimes seven deep and up to three high, yet every pallet was a different SKU. 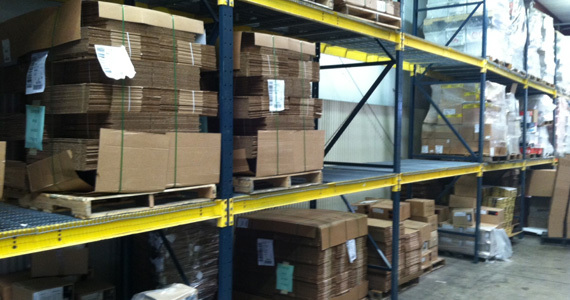 Pallets awaiting shipment also needed to be stored in such a way that the vacuum boxes would not be damaged prior to transport, a common problem when floor stacking. Different options were discussed for the spare parts picking area. TTI was currently picking “eaches” for stock to repair centers, while considering a transition to “full case” picks. SJF needed to come up with a way to let “each” picks happen, while allowing the flexibility to transition to full case picking in the future. Discussion of pallet flow and carousels arose, but to keep within budget on the job, a simple multi-lane span track picking area was decided. Biery Cheese has been in business for over 75 years, providing top quality cheese products to all facets of food markets. Biery Cheese takes food safety very seriously – as they have to, being a a U.S.D.A., F.D.A., Kosher, Organic, and Military approved facility. Located in Ohio, Biery Cheese proudly serves clients across the USA. 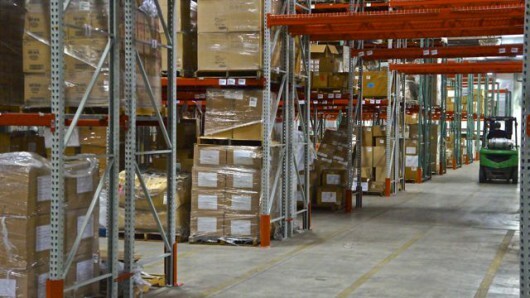 The project that Biery Cheese contacted us about was the expansion of a run of pallet racking to store some packaging materials (boxes, etc.) SJF was able to find some recently purchased beams and supports that perfectly fit the bill. Control Concepts, Inc. designs & manufactures precision SCR power controllers for industrial applications. In early 2012, we were moving into a new facility with our new owner. We decided to get a fresh start and purchase pallet racking and work benches instead of trying to teardown and reset our old mismatched pallet racking. Most of our controllers are red & black, so we decided to have our work benches & pallet racking painted to match. 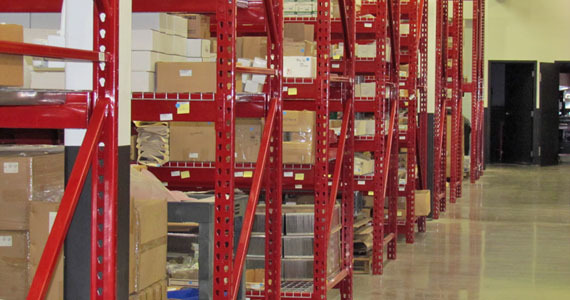 We also decided to take advantage of our new higher ceiling by using pallet racking not only for our pallet storage, but also for all of our inventory storage. Even though our new building is only 1,000 sq ft larger, we gained a lot of floor space by going vertical.